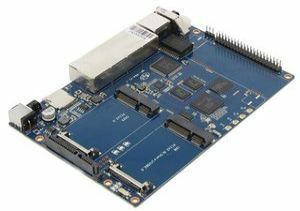 The Banana Pi R64 is a router based development board, which can run on a variety of open source operating systems including OpenWrt, Android,Linux. It has 4 Gigabit LAN ports, 1 Gigabit WAN, and AC wifi AP function. 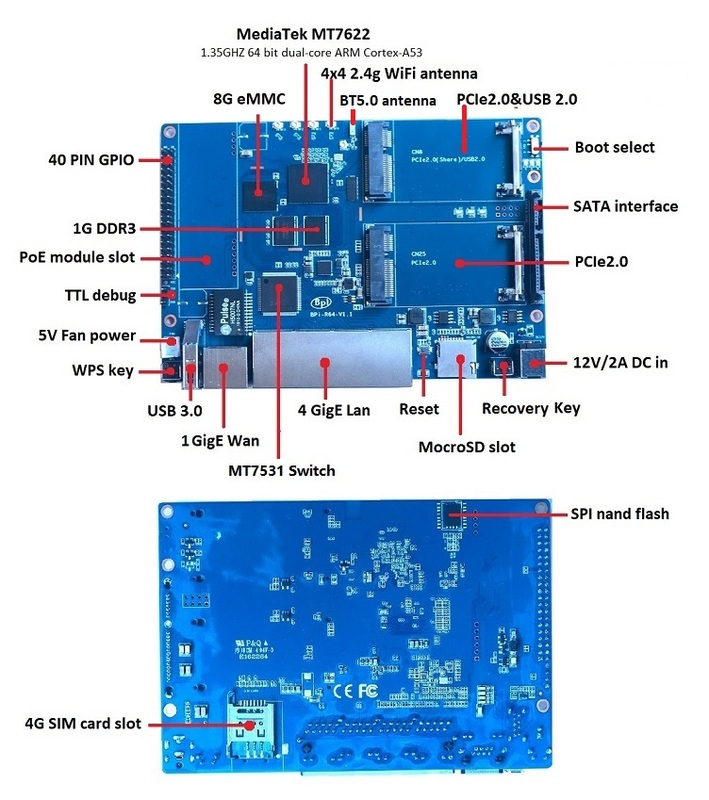 MediaTek MT7622 is the world’s first with 4x4n 802.11n/Bluetooth 5.0 system-on-chip designed and built for premium networking devices across several applications including routers/repeaters, home automation gateways, wireless audio, and wireless storage. The highly versatile chipset provides a single platform for popular 4X4 dual-band and tri-band routers/repeaters, providing maximum flexibility for manufacturers looking to build top-tier networking devices. The platform pairs high performance and extensively integrated functionality with a cost-effective approach. 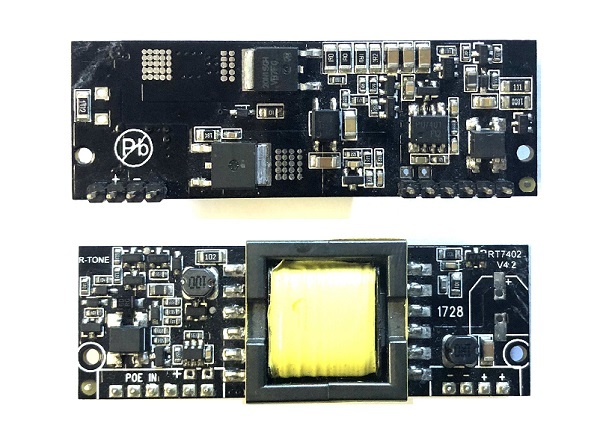 | GPIO || 40 Pins Header, 28×GPIO, some of which can be used for specific functions including UART, I2C, SPI, PWM, I2S.